Makers Academy is a truly fascinating start-up. 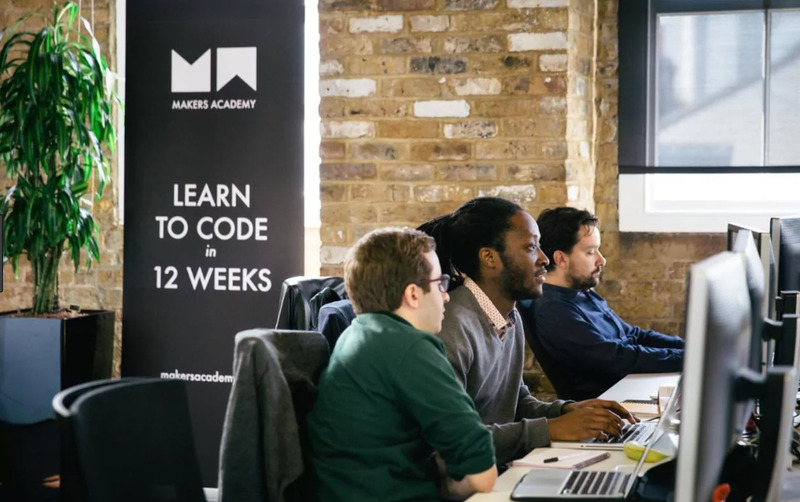 Europe’s leading Web Developer bootcamp that not only teaches ‘the principles of software craftmanship’ but also supports students to get their first programming job — and it’s a Culture First company. 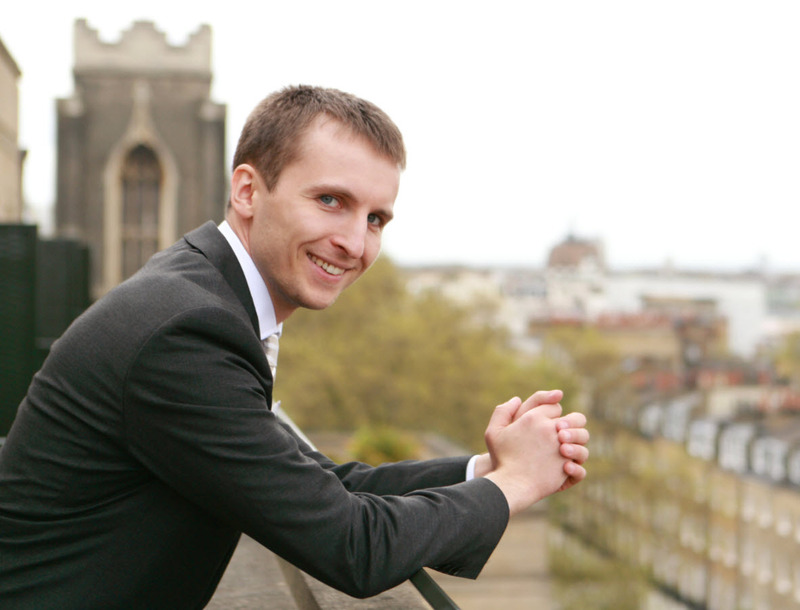 Makers Academy was founded by Evgeny Shadchnev and Rob Johnson when they met at Forward Labs. A conversation between the two of them about learning programming led them to realise that while computer science programs were good at drilling students with theory, they were training people to become computer science professors instead of programmers, and something had to be done. And so Makers Academy was born. · Instead of interviewing candidates, they ask potential employees to interview them. I spoke with Evgeny Shadchnev, the CEO and co-founder of Makers Academy about the culture that he and his team have developed and his biggest learnings over the last two years. We started off by discussing one area of difference that I find fascinating – all employees from the CEO down, decide their own salaries. I first came across employees setting their own salaries while reading Ricardo Semler’s brilliant book, The Seven Day Weekend: Changing The Way Work Works. 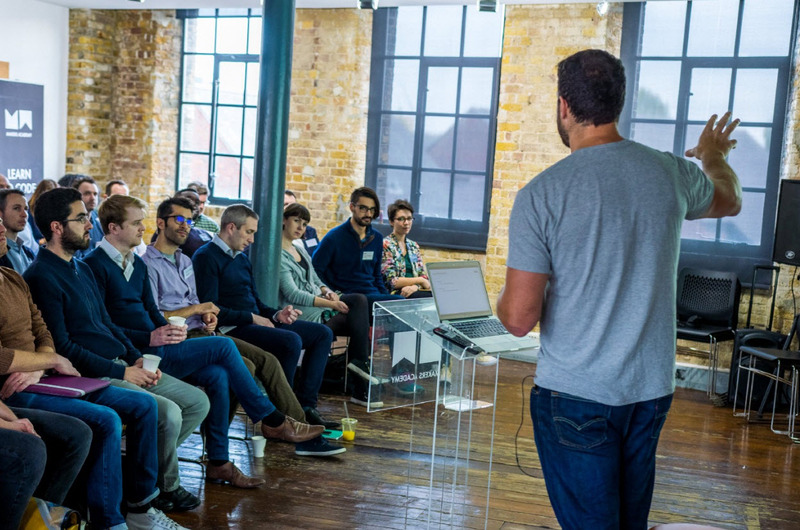 Since then, a number of companies like Buffer, Squaremouth, SumAll and WholeFoods have shown that making previously confidential information like salaries available to employees can counterintuitively drive up engagement and positively impact a company’s culture. ‘Traditionally, the salary and subsequent raises are negotiated between the employee and the representative of the company or set according to a predefined formula that leaves little room for negotiation. This process is adversarial in nature. It is based on the assumption that the employee is acting in a selfish way, trying to maximise their own personal gain at the expense of the company. This setup encourages employees to push for a highest possible salary in most cases, while encouraging managers to push back as they expect the employees to inflate their salary expectations. In most companies the salary negotiation doesn’t encourage either party to be particularly open and honest, which is the foundation for building the trust between colleagues. How does the process of setting your own salary work in practice? We initially started by having completely open discussions with the entire team about individual salaries. We realized that this wasn’t an ideal format, so we decided to change that process to having the initial conversations in private, where an individual will have one-to-one conversations with other members of the team about their salary and then share the final outcome with the entire team. The process is as follows: you are expected to write an essay describing your role, what you’ve been doing for the past year, and what you’ve done well and not so well. You outline any change in compensation you’d like and why, how it compares to the external market (this is one of the key data points) and how your proposed salary relates to any equity you have in the company. Each team member is expected to do this on an annual basis, around the anniversary of when they joined us. If there’s a salary gap between you and a colleague, or between you and the market, it’s down to you to reflect on why and, if you want an increase, to make your case for that. Self-setting salaries is not about asking permission; it’s about getting feedback. The goal isn’t to get others to approve your salary, but to get feedback on what you’re doing, the impact it has had, and to understand how you and your work are perceived by your colleagues. Everyone in the company does it, including me. How does it work for new joiners? We negotiate it in the usual way, and we’re open about the offer (or a salary range) we’re likely to make from the beginning. Sometimes there’s a normal back-and-forth negotiation but its range is usually limited since the salaries are open internally. A frank discussion with future colleagues about their roles and salaries is often part of the process. What have you done as a company to define your company values? In September last year I thought it would be a good idea to ask an external consultant to help us produce a company handbook, and while it was produced on time and within budget, and although the consultant did speak to the team, it turned out that the team weren’t deeply involved in the process, and the end product wasn’t exactly what we were looking for. We went back to the drawing board and redesigned the project from scratch, putting one person in the team in the driving seat of the process. Her job is to make sure that we end up with a coherent draft of the handbook. In order to produce that draft, she has been talking to everyone in the team in individual interviews and group workshops through a continuous process of writing, getting feedback from the team, editing and rewriting. We don’t expect everyone to contribute to every part of the process, but at the same time we want to avoid presenting the team with a finished product without their input, so we’re creating it in a collaborative way. We see the handbook as a living document and in that sense will never be completed. What we’ve done is a pretty solid draft right now and we’re hoping to get it online before Spring 2018 — although we’re not committing to a hard deadline because the quality matters more than meeting an arbitrary date. The handbook is composed of two parts: firstly, our philosophy, which we’ll make public, and secondly information on how to handle practical matters such as how to invoice the company or the onboarding process. It makes sense to share some of it publicly because when we ask our job applicants why they’re applying to work with us, more often than not they cite our culture. When we ask them how they learned about it, they point to our blog posts where we explain things such as self-setting salaries or other company processes. For me, defining and baking in the company values isn’t a one-off process. I expect our values to continue to evolve as the company evolves. The values that we had when we were a team of five are not the same as the values we had when we were twenty-five. We want to get to more specific values and actual examples of how to implement those values from our working practices and these will need to be updated as the company evolves, otherwise the values and their meaning to the company will become stale. How do you interview to ensure culture fit? One of the first questions I ask in every interview whatever the position, is ‘Why do you want to join Makers Academy?’ This question often becomes the most important one in the interview process as I try to understand how the person thinks about themselves, their world, their objectives and what matters to them — and crucially how that connects with our values and objectives. My primary focus is on trying to make sure that the company and candidate are aligned at the level of values because if there is a mismatch, then however talented or brilliant the candidate is, fitting in with our culture will be difficult or even impossible. In other words, before we even get to the discussion on skill set, we try to make sure that they and we, are aligned on why it’s important to do what we do at Makers Academy. Can you give me a recent example of one of your values in action inside the company? I will use recruiting for our careers team as an example, in combination with one of the values that we really care about, which is the quality of the experience we offer our students. Our careers team is responsible for placing our students into jobs after they have completed the Makers Academy course. Typically, in other companies the careers team role would be heavily focused on targets and revenue. As I mentioned, we care deeply about the quality of our student experience, so a primary aim for us is to get all our developers into a job they will genuinely love. Therefore, a good fit for our careers team is someone who cares more about solving the problem of getting an amazing job for our developers, than maximising our revenues and their potential commission. Take the example, which has happened numerous times, where a developer on the course wants to get a job in a company outside of our network of hiring partners. We will invest the time in helping them to prepare for the interview and get the job, even though we won’t be paid for this placement. In the short-term Makers Academy will lose revenue, but over the long-term, we’ll have done the right thing for the student, who may go on to recommend us to their friends and network. Taking this one step further - in order to be able to focus on offering a quality experience to our students, we decided as a team not to incentivise our sales people with commissions. This aligned everyone on the same goal, which results in us doing the right thing for our students and we believe, in the long-run, for the business. This actually makes hiring for the career team easier. If during the recruitment process we come across a potential sales candidate who is driven by money, we know that they are probably not going to thrive at Makers Academy. We hire sales people who care about other things than sales commissions and making money as their primary focus. We are really trying to establish what the person gets a kick out of during the interview process — are they excited by the idea of placing developers in rewarding and fulfilling jobs where they can make a significant difference to someone’s life? Or are they more interested in receiving some sort of financial reward at the end of the quarter? Don’t get me wrong: there’s nothing wrong with a commission structure or being motivated by money and I’m also not saying that the way we do things is any better than other ways. I’m just trying to make sure we are aligned on the job that needs to be done in the first place and why a candidate may want to do that job. This means that most of the people on our careers team don’t come from traditional sales backgrounds. They almost always have relevant experience, such as a track record of helping people to get amazing jobs, or helping people to be successful, or helping companies to hire amazing talent. What sort of knock on effects does this have? This sets us apart from the rest of the market. When we talk to our hiring partners about why they work with us, they tell us, ‘You’re a source of talent but you’re not a recruiter. You are not here to sell to me. You’re here to solve my problems.’ And when our careers team go in to meet our hiring partners, they’re very proud to tell them, ‘Look we’re not on commission, we’re not salespeople, we’re not trying to close the deal as soon as possible. We want to solve the problem, and if we do that well, we help you, we help our developers and we’ll build a long-term relationship.’ There’s much less sales pressure on our hiring partners. We don’t do exploding offers, we’re not pounding the phones and doing hundreds of calls a day. We try to do a genuinely good job in solving their problems, and our hiring partners really appreciate that. Deeply caring about your students’ success is one value. What other examples can you share? Another of our core values is trust. We hire people and trust them to do whatever they think is right to move the business forward. In practice it means that they’ve got control over their daily practices, working hours, what they do, how they do it and so on. Our team members are trusted to come up with the right way of doing their jobs and the job spec they were hired against is really a list of things that are important to us. Our expectation is that the person we hired is going to find the best way to make that happen. An example of this was when we partnered with a charity organisation during the height of the refugee crisis. We found a way to sponsor a refugee coming from Egypt to do one of our courses, and then got them a job at one of the top companies in the UK. That was a real life-changing story for that person, it happened not because we had a quota for doing this kind of thing in any given year, but because it was an opportunity that was aligned with our values. This initiative came via the team, not from me or senior management. We trust and expect them to work in that way. As this example demonstrates, our values mean that collaborations, partnerships and projects often begin at a grass roots level rather than at board level. We don’t sit down and try to figure things out strategically and then expect the team to implement it — instead, we let things emerge as our team spots opportunities. For example, we’re launching an apprenticeship course, following the introduction of apprenticeship by the UK government. The people on the career team realised that we could train people without charging them for the course; the people on the course would get paid in the process, and they would essentially be guaranteed a job on day one after training. It sounded like an amazing opportunity and something we wanted to get involved in, so we started exploring it. Months of exploration was done by the careers team long before we even discussed it at board level or started to integrate it into our strategy. Tell me about the Makers Academy approach to hiring. We try to hire slowly and fire slowly. Make no mistake, if someone isn’t working out, we are not going to tolerate it for six months or a year. But because we are really careful about who we hire and take a lot of time to bring on the right people, we really commit ourselves to doing whatever we can to make sure our employees are successful. This is quite different from hiring quickly and knowing that half your new hires won’t see the end of the probation period. We want to give applicants the message that we will have a pretty long and in-depth conversation before they join us, in which, they ask us, and we ask them loads of questions to make sure that we’re on the same page. If we hire them, it means we will be as committed to making a real successful collaboration out of this as we expect them to be, for the foreseeable future. We start the process with a phone interview with the head of recruitment or the line manager for the role, and if that goes well we have the first face-to-face interview. At this stage things are more exploratory. We invite the candidate to ask us questions rather than the other way around. When I interview I get as much information out of their questions as I do out of their answers, so in a sense I don’t really mind where the conversation goes in that first interview. What I care about is that we cover the number of areas we need to cover, but who’s driving the conversation feels less relevant to me. The next stage is a deeper interview, where we try to focus on the candidate. Usually this is done by getting them as involved as possible in the real work they’d be doing on the team. For example, when hiring for a role on the careers team, it may involve attending a real client meeting or, if we can’t arrange a client meeting in time we will set up a role play which closely mirrors a real client meeting. If a candidate gets through the phone interview and the first interview, it means they’re good enough to meet one of our clients and we expect them to get involved in that meeting. After the meeting, we will have a review with the candidate to discuss what was good, what was less good and what could be done differently — this conversation usually tells us a lot about the candidate generally, and specifically around their willingness to take and give feedback. This part of the interview process usually takes between half a day and a full day, and if it does take a full day, we pay them for their time. The process looks different for each role we hire for. 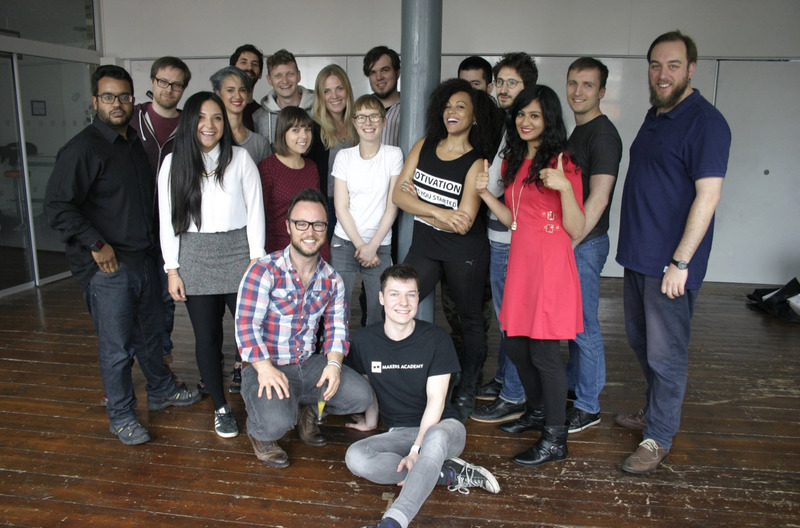 Recently we brought on a Head of People, and we invited her to spend a day with the team. She met around eight people in one-to-ones and group conversations throughout the day. It was an opportunity for the team to meet the candidate but also for her to interact directly with the team she would be working closely with. At the end of the day, everyone gave the same feedback — that we absolutely needed to hire her. As a team, we got to this place not through the traditional formal interview process of asking and answering questions, instead, she spent a day in the office interacting - asking our people what works, what doesn’t work and what could be done differently. When we hired our finance director a year ago, the day in the office involved the shortlisted candidates doing a mini finance audit. I gave each candidate read only access to our accounts and asked them to produce a report on what we were doing well, what we were not doing well and what we should be doing differently. It was really useful for me to get a number of different perspectives on the company, but also very useful for them because they were getting information on the company not just from the team, but by looking at the actual numbers. One candidate told me that when they joined previous company, they didn’t realise what the company’s financial situation was until they signed their employment contract and that they wouldn’t have joined had they known the truth. Making a hiring decision is a team responsibility – how does that work for you as the CEO who, in a normal startup, would make the final hiring decision? The hire or no hire decision is for those who are going to be working closely with the candidate. As CEO, I meet everyone who is joining the company but my opinion is simply one of the inputs and not the final decision. For example, last week I went into an interview with a candidate and after I left I told the team I had no idea how that person had gotten so far into the pipeline as I had serious doubts that they were the right person for us. The team listened to my feedback, went away to discuss and then came back and said that while they saw how I could have arrived at that conclusion, they thought that I might be incorrect. They believe there were some things I had missed, and asked me what I thought about arranging another interview to go deeper into some of the areas where I had concerns. The team relayed feedback to the candidate including some fairly difficult stuff from me and the candidate responded very well to it and offered their perspective on why they might have come across this way. In this situation I didn’t act as a block saying it was a definite yes or no. Generally, everyone involved in the process has the right to veto a candidate but we don’t really use it like that. I questioned rather than vetoed, and would veto a hire only in very rare cases. In fact, I can’t think of a single situation where I’ve had to do that. If I have really strong concerns, there is usually an explanation that will make sense. We have done it very poorly up until now, because we didn’t have anyone responsible for it except the new hire’s immediate team lead — and that person doesn’t usually have experience in running that process. 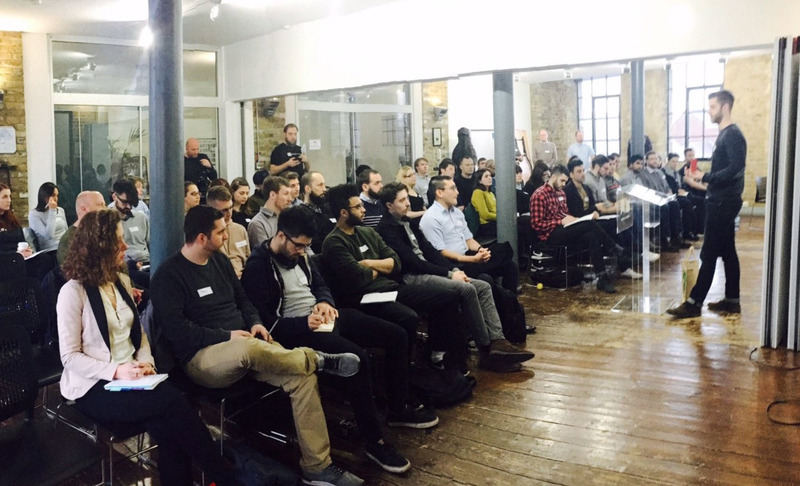 We’ve realised that good onboarding doesn’t happen by accident or out of the box. My mistake was to assume that people would automatically figure out how to onboard new joiners. People are too busy, and they assume that new joiners will just figure it out — perhaps via osmosis! Our new Head of People will take responsibility for building the onboarding process. One of the things I’m seeing is that people give their discretionary energy to companies with strong cultures. We’re seeing that too — we get great ideas and initiatives from our people and these often result from energy expended outside of the work environment. There’s a lot of freedom to experiment and innovate at Makers Academy, whether it’s done at home or at work, and our people live and breathe the culture and mission, which is why we’re trying hard to ensure that they align at the level of purpose when new people join. In our culture it’s easier for most people to push themselves harder than we push them because we’ve created a highly self-motivated culture in which it’s normal to keep pushing yourself all the time. At times this is appropriate, but at other times it’s really inappropriate. If you’re on a team and your team leader is constantly tired and sick because of how hard they’ve been pushing themselves, they’re not a good role model. You want to come to work and know that you’re hitting your goals and moving in the right direction at a steady sustainable pace. That’s hard to achieve in an environment like ours and it is something I am thinking about a lot. What has surprised you about the process of building this business? My own inexperience. It surprised me how much harder it turned out to be than I thought it would be. It probably speaks volumes about how inexperienced I actually was because I’d assumed that good intentions got you two-thirds of the way there. I’ve learned that while good intentions are a first step, you need a hell of a lot of experience, execution and effort. Building a culture and work environment is difficult, never-ending work. It never stops. 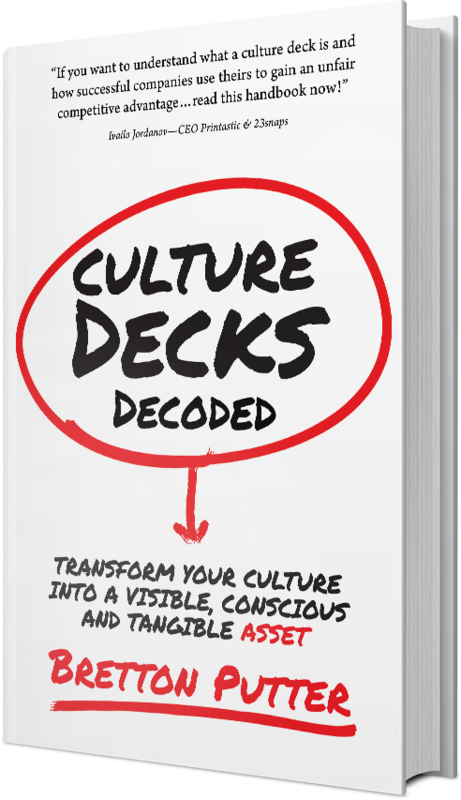 What’s the biggest mistake you’ve made when it comes to culture? I think the biggest mistake I made was assuming I knew more than I actually did. That led to me not learning more about culture, how it works and not learning from more experienced people and I therefore made a lot of mistakes that could have been avoided. So, arrogance on my part was one of my biggest mistakes… and I hope I’ve been addressing it! Yes, the one thing I’ll add is that everything I’ve spoken about is open to change. We’re not fanatically committed to any of this. Our job is to build a successful company and a productive working environment. If some practices help, we’ll do them. If some of them don’t, we’ll stop doing them. For example with self-setting salaries, we’ve been doing it for over two years but it’s also not an integral part of who we are. We won’t continue to do it for 50 years just because we do it now. We may get together and decide to change it. Nothing’s set in stone. 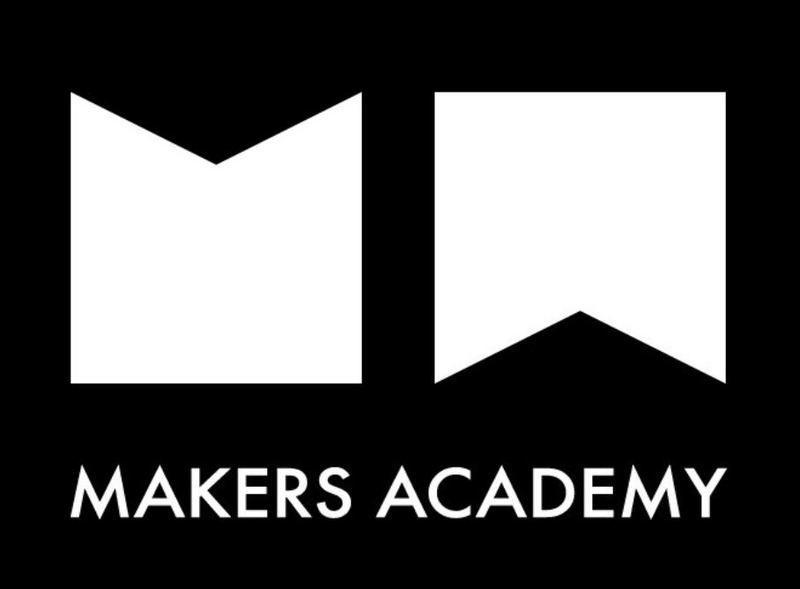 Learn more about Makers Academy at their website: http://www.makersacademy.com/.